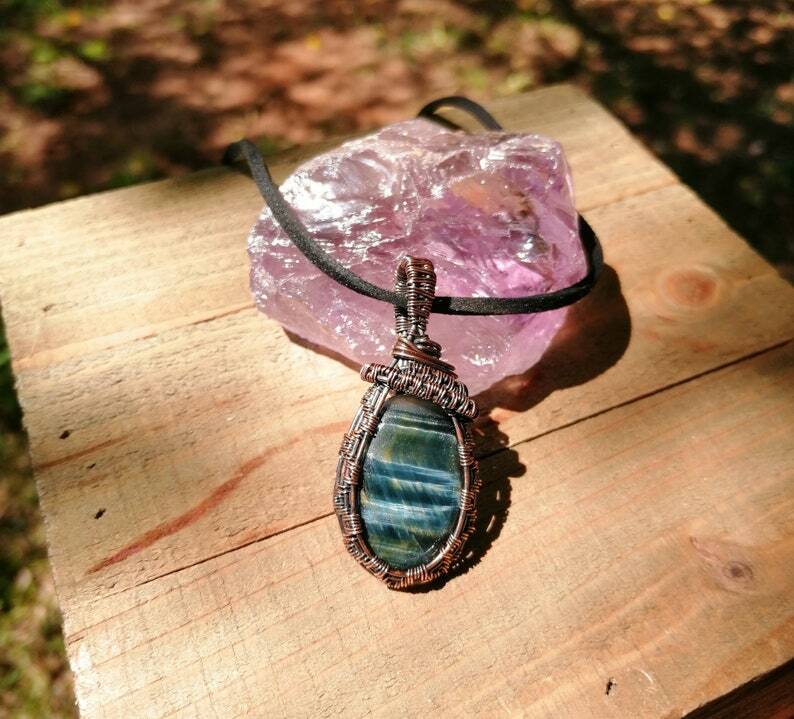 This listing features a Blue Tiger's Eye Oval Cabochon that has been wire wrapped in copper. The copper has been oxidized, polished and sealed with protectaclear. 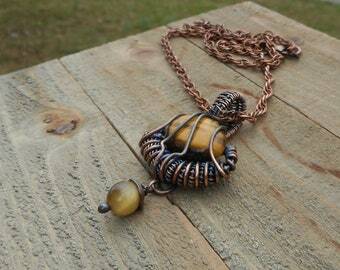 this pendant measures 51x22x8mm and it hangs on a 24' inches long Suede Cord. it will be shipped ready for gifting! Blue Tiger Eye (also called Hawk's Eye, Tiger's Eye, Tigereye) is a very soothing stone as it aids in reducing stress, increasing calm and easing anxiety. ... Blue Tiger Eye brings a "go with the flow" attitude, aiding in relief from fears, phobias and hot tempers.